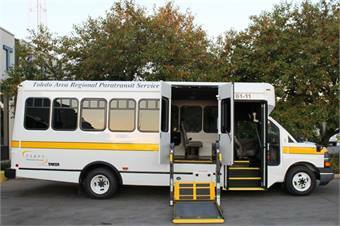 TOLEDO, Ohio — The Toledo Area Regional Paratransit Service (TARPS) is exploring the idea of using private vehicles on weekend afternoons and evenings so it can focus resources at busier times of the week where it now is shorthanded, reported The Blade. The Amalgamated Transit Union Local 697, the union that represents TARPS’ drivers, does not believe outsourcing is a proper solution to the agency’s issues, which include a driver shortage. For the full story, click here.